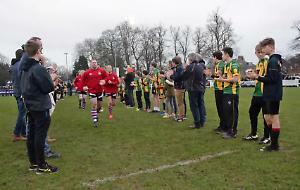 HARPSDEN and Trinity Hall both made it through the quarter-finals of the Cowan Cup to set up a derby date in the semi-finals. Trinity Hall made it through to the last four with a 10-9 win at Berks CS while Harpsden secured their place by beating Ivy Leaf B 10-7. In the other quarter-finals Ivy Leaf A beat Park Institute B 10-7 and will now face Earley HG who beat Park Institute A 12-4. The semi-finals will take place at Trinity Hall, Harpsden Road, Henley, on March 7.